The need for ‘information – anywhere, anytime’ has truly led us into what Apple warmly calls, the ‘Post-PC’ era. Mobile has become the buzzword in the tech space, and mobile devices are now becoming the de-facto device both at home and in the workplace. Mobile apps are the solutions for businesses to achieve success in this era of mobile technology, read below to know about the benefits of outsourcing mobile app development. Technology today is a mixed bag. If you look at the technologies in mobile app development, iOS and Android are the two major OS in the mobile space. Both iOS app development and Android app development are gaining interest from many organizations due to its wide acceptance by users. Majority of the employees in organizations have smartphones or tablets with an iOS or Android OS. It is, hence, the right time for organizations to adopt mobile apps to their main strategy to reach their customer. And to have an edge over your competitors in this race, you need to outsource your app development tasks to experts in this industry. 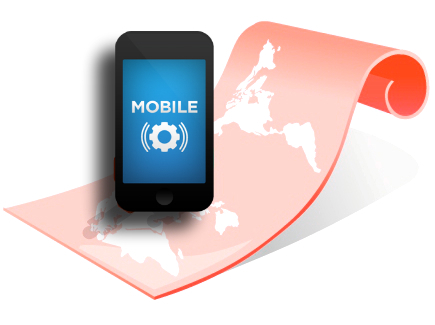 Developing a mobile app requires the developers to have the knowledge of the latest technologies. The app’s strategy and requirements should be thought through in a structured way to get the maximum ROI. When you outsource app development it will benefit you by getting the required expertise in developing your mobile app from your outsourcing partner. Making sure of creating a great user experience is a must to ensure your app’s success. One significant advantage is the ability to drive enterprise decisions by studying consumer information by data mining and capturing. However, if your mobile app is not capable enough of mining and capturing the necessary data, then it will be of no advantage to you in terms of data-driven decision making. Outsourcing your mobile app development can help you overcome this obstacle, since the outsourced partner possesses the required expertise and skills for developing an app. An app developed for you should be able to run on all types of mobile devices and tablets available in the market. If it is an app that runs on a couple of devices, you might loose out on generating a big customer base. When the mobile app development is outsourced, your app will be thoroughly tested before it is presented to the end user, which will eliminate your risk of failure. (Read more about ‘Mobile app testing best practices‘). To conclude, outsourcing your mobile app development services can prove to be beneficial for your business. Are you planning to create a mobile app for your enterprise or want to learn more about the benefits of outsourcing? Talk to our experts, call 1-877-RISHABH (1-877-747-4224) or fill in the contact form.